This past weekend I taught a Low Carb Cooking Class and a sweet lady named Susan emailed me ahead of time and promised a sampling of the best meatloaf I’ve ever had in my life – as well as the recipe. Now, when you consider how long I’ve been eating good food, that is a lofty promise. So I need you to really pay attention to the my next sentence…. She was right. This is the absolute, be all, end all, best meatloaf I have ever tasted in my entire life. I have since made it twice and forced everyone I come into contact with to try it and they have admitted the same thing. Folks, your life has been missing something and it is this meatloaf. The flavor, tenderness, juiciness, and beauty of it are the stuff of legends. Susan, folks are going to build a statue in your honor one of these days. Now let’s stop lallygagging and hightail it into the kitchen folks, because there is no time to waste when you have something as delicious as this meatloaf waiting on ya. You’ll need: Ground Turkey or Chicken*, Ground Beef, Eggs, Pork Rinds (plain)*, Onion Soup Mix, Reduced Sugar Ketchup, and Water. *Ground WHAT? I was surprised by the turkey/chicken in this recipe. Really surprised. This beefy tasting meatloaf doesn’t give away that half of the meat is poultry but it sure does add a tender texture to it. Note that the original recipe called for chicken but I didn’t see ground chicken at my grocery so I used ground turkey and it tasted the same to me. Also note that I have always disliked biting into something I expected to be beef and finding it is chicken – but this meatloaf recipe forever altered my thinking on that! This lineup of ingredients looks innocent enough but when combined together they create a kitchen miracle and turn out this mouthwatering meatloaf that I cannot stop thinking about! I have made my mother promise me she will make it this week. You can use regular ketchup in this if you want but reduced sugar is really going to save you on carbs. I LOVE ketchup so I gladly use the reduced sugar version – so I can have double the amount I might have had otherwise ;). I buy Heinz Reduced Sugar ketchup at Wal Mart. *We no longer eat pork but I’ve parmesan cheese to be a great substitute that adds flavor and acts as a binder. *We have a family tradition of running over large candy canes with our cars to use as toppings on cookies and candies. Don’t worry, we double bag them first and only use licensed drivers ;). Susan’s recipe calls for taking the end pieces of a loaf of bread and placing them up against each other in the bottom of a 9×13 baking dish. I love that this uses up the part of bread that sometimes gets discarded in houses. I decided to use my little baking dish that I use for rolls. It worked out okay but I recommend going with Susan’s suggestion and using a 9×13 because my pan worked out but a 9×13 is going to give you plenty of room for any grease or liquid to accumulate. Mine almost overflowed the pan a bit because I used a shallow dish. Turns out, there is something to be said for following a recipe… (I’m not saying a word). Using your hands (still), form the meat mixture into a loaf on top of the bread in your baking dish. Press it together a bit as you do so. Squiggle a little additional ketchup on top again if you like (this is additional to what the recipe calls for). Bake this at 350 for an hour. While that is cooking, this is the perfect time to brew up some Southern Breeze Sweet Tea. This is the sugar free, zero carb sweet tea that is as simple to make as pouring hot water over the bags and letting them steep for a few minutes. This stuff is the real deal, made in Marietta, Georgia. Let me show you how easy it is to make. I actually brew mine right in the pitcher. I pour about an inch of cool water in the bottom of a 2 quart pitcher (one that can handle heat). This is an old habit of mine, you can skip it if you like. Bring some water to a boil in my electric kettle (click here to see the one I have), toss two family size tea bags in the pitcher, and pour the boiling water over. Let it sit for 3-5 minutes, then remove my bags and fill the pitcher up the rest of the way with water for perfectly sweetened Southern iced tea every time. This photo is just before removing the bags and adding more water. 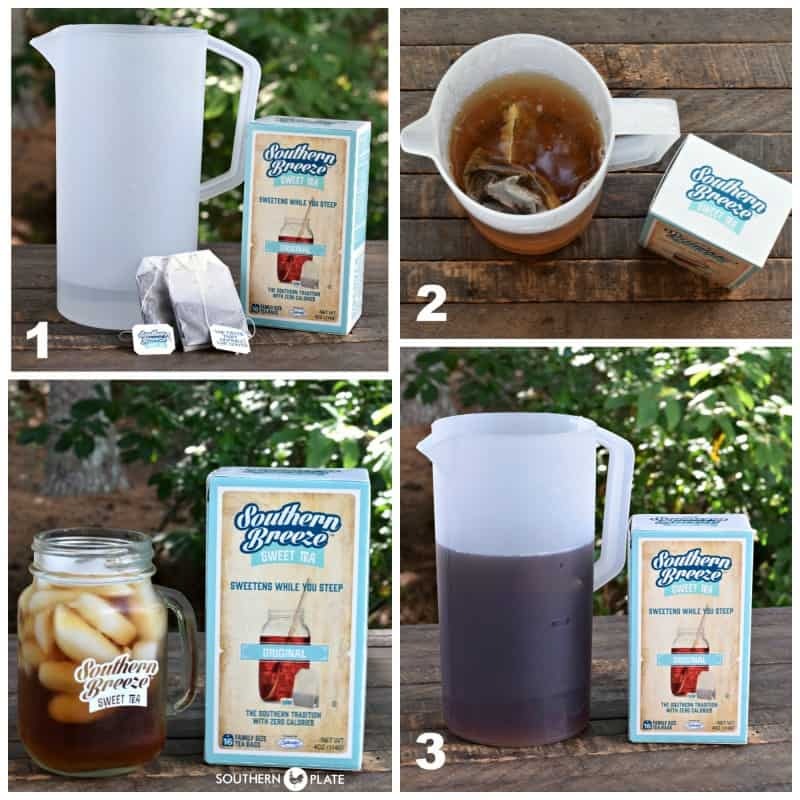 These three simple steps will yield perfectly sweetened Southern iced tea every time, great with my low carb eating and surviving the month of August in Alabama. Be sure you visit their website for a coupon to use when you go out hunting for it later on today (click here and then choose “sweet deals” at the top of their page)! They also have a tool that will tell you what stores in your area carry their tea. Click here to find what stores in your area carry Southern Breeze Sweet Tea. A glass of Southern Breeze Original Sweet Tea is just what this meal needs. Allow to sit for ten minutes before cutting. After the ten minutes, it cuts beautifully. Get ready for the most amazing meatloaf I have ever tasted in my life. 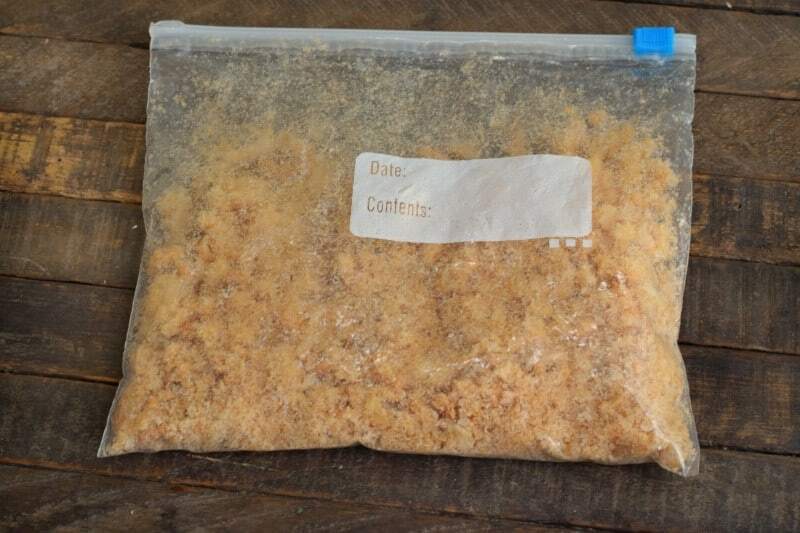 1 envelope Onion Soup Mix. Using clean hands, mix together all ingredients in a large bowl until well blended. Place two ends from a loaf of bread, end to end, onto the surface of a 9’x13’ baking dish. Squeeze a little more ketchup on top of the meatloaf. To take this meatloaf over the moon, heat each slice on a sizzling hot cast iron griddle skillet, putting a crusty sear on both sides! Peel off the bread, from the bottom of each slice of meatloaf, and give it to your 4-legged children. Tails will wag, and they will love you forever!!! *We no longer eat pork but I've parmesan cheese to be a great substitute that adds flavor and acts as a binder. I add about 1/2 cup. 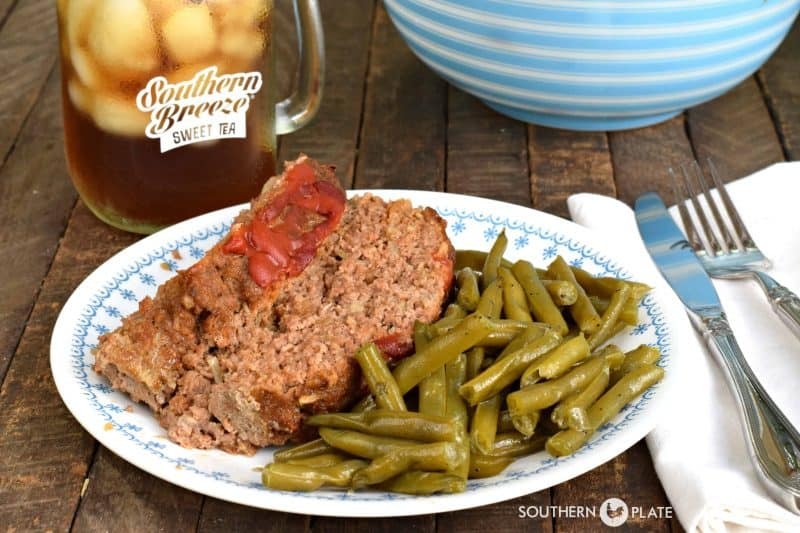 Special thanks to Southern Breeze Sweet Tea for sponsoring this post and helping me bring this wonderful recipe to you! I hope you enjoyed it D’Ann!!! Made the meatloaf for dinner tonight. It was great. Will be making it again. Thanks for the low carb ideas! I am so glad you liked it Cheryl!!!! LOL, it is oohs-gooshy. Hope you enjoy it!! I have mixed turkey in mine for years for fat and calorie count, can’t wait to add ground chicken to the list to buy and make Saturday, my son will think he has died and gone to heaven getting meatloaf before winter. It has been so hot, been using the slow cooker more this summer than ever. Thanks for sharing the low carb, not being very strict, but using the recipes you share. 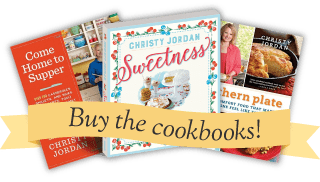 can;t wait for more low carb recipes Christy and thanks for all of your hard work and sharing all these great recipes with us. Thank you Christy and Susan. Made this yesterday and love it! I am so glad you liked it Barbara!! Do you have the carb count for this or did I overlook it? Any ideas for making this in muffin tins? 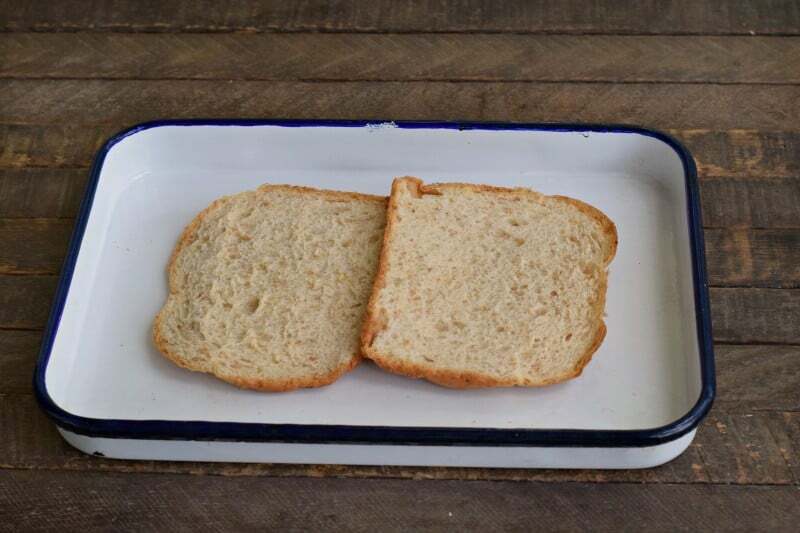 Would you just put a little chunk of bread in the bottom of each tin to absorb the excess fat? never used pork rinds before (in any recipe). This will be interesting and I like the idea of ground poultry! I am enjoying your website because I enjoy cooking and using new ideas like this. Thanks for posting! Thank you so much Shane, I am so glad you are enjoying the recipes!!! Christy how would this work in an IP which is all the craze now. Working and busy moms are using the IP a lot now. Quick question, what is the serving size and how many carbs per serving? 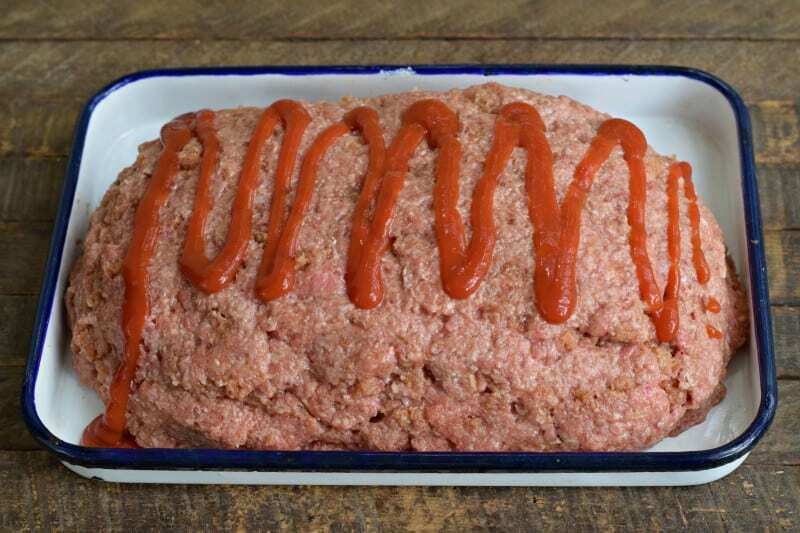 For the low carb meat loaf. Where is the nutritional information? How can you call this low carb when you are adding bread AND ketchup? She’s not using bread, the recipe calls for pork rinds as a substitute for bread crumbs and the ketchup is not regular ketchup either. If you’re referring to the two slices of bread on the bottom, that’s used soak up excess grease. She literally says you can fry it a bit and feed it to the dog for a treat. All you have to do is read the recipe. Joe, please do read the recipe and calculate nutritional information for yourself. There are great websites like MyFitnessPal that can do it for you. I can’t give you nutritional info because I don’t know how many slices you are going to eat, how big you will cut each slice, etc. However, I have faith that you are able to do this on your own but reading the recipe and instructions is a great place to start. I wanted to try this meatloaf recipe. Every time I buy pork rinds my husband eats them before I can use them in the meatloaf! Going to make this as soon as I can find pork rinds. Went on Walmart website & all rinds were listed as “out of stock ” Strange! Wondering how this would be in individual muffin tins. I like to use them for many things as well as for portion control . Has anyone made them this way? I think it would be great!!! Made this tonight and the mix was really mushy. Usually when I make meatloaf the mix is a litte firmer. Did I do something wrong or is it supposed to be a little softer than typical meatloaf? It’s in the oven now and I’m hoping it comes out ok. This is a much softer meatloaf, hope you enjoyed it!!! I didn’t have ground chicken, but had left over roasted chicken from yesterday’s dinner, so I chopped that up really fine. Was low on ketchup so filled the remainder of the 1/3 cup with worchestshire sauce. It’s cooking now. Will post with results. I am so glad you are enjoying my recipe!! I can’t wait to hear how it turns out next!! Made this tonight and you were right, this is absolutely the best meatloaf I have ever made (and I have tried many)! The search is over and I am so thrilled – the family inhaled it! That made my day!! I am so glad to hear it was a hit at your house!!! I am Susan’s (creator of this recipe) husband. We recently started smoking this on my Kamado grill and I use just two or three hickory chunks. The smoky flavor really sets it off. It is now the to die for and been reincarnated meatloaf. Smoke it at the same temp as you would in the oven. I consider it done when the internal temp reaches 165. Thank you so much for letting me know Clay, I can’t wait to try it!!!! 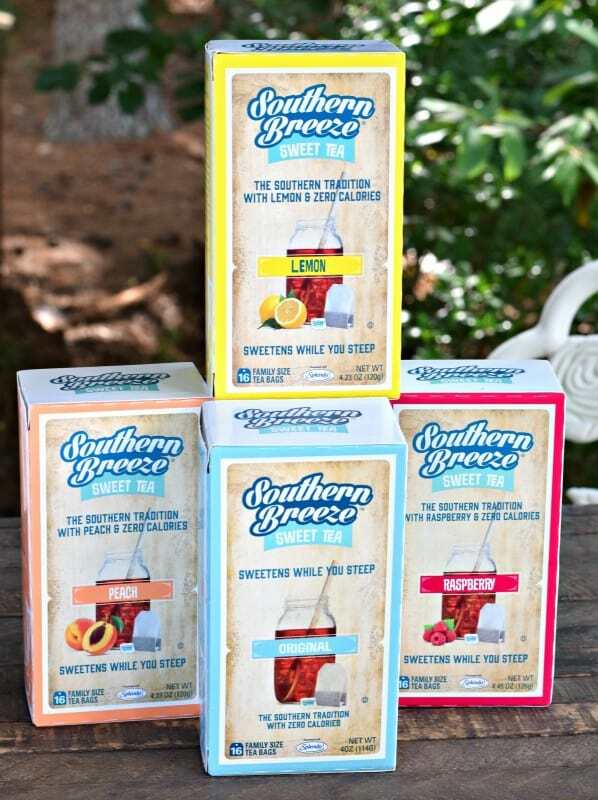 I live in Arkansas and would love to know where I can purchase this Southern Breeze tea? To Susan, can you suggest s substitute for Pork Rinds? I’m not able to eat them for cardiac health & restrictions?? Also, if you give the meatloaf to dogs/cats.. It could cause a major medical issues. They aren’t equipped to deal w/ the onion soup mix, used as seasoning. So check w/ a Veterinarian first!! I know they are much loved here too!! My cardiology team have OK’d pork rinds in moderate amounts. Go figure. If I only eat meatloaf twice a month and this recipe has only 3/4 cup per 8 servings (2lbs of meat yields 8 servings on a cardiac diet) it is very safe to consume…. I a man so glad to hear that!! I have *just* started low-carb eating for weight loss, and this sounds delish! When I get to where I have an oven again I’m soooo making this! I hope you get the chance to soon!! Sounds yummy but Very interested in how many carbs in the recipe. My carb info on the onion soup mix is WAY high–30 carbs in 1/4 packet. Is this off –what do others find? I just looked at mine, it says 4g per 1/4 packet. It’s just the Walmart store brand. Hopefully you misread yours. What is the bread for? I have never seen that before. 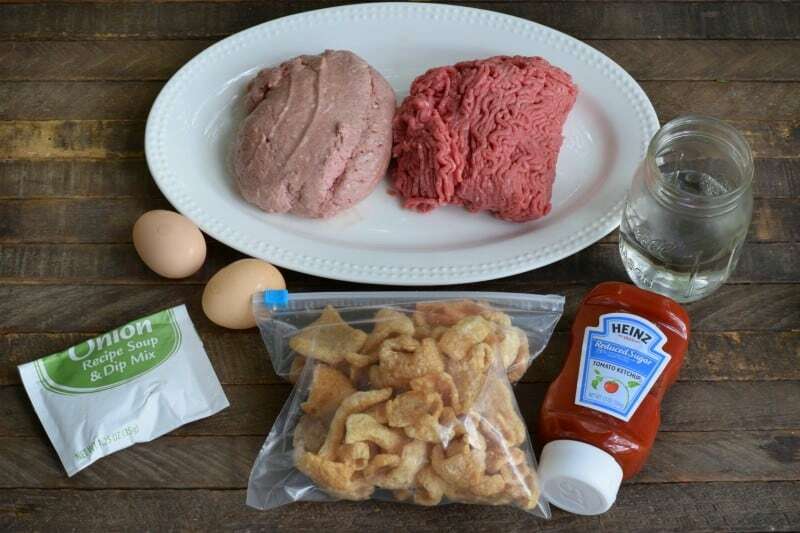 Ready to try this but one question….what pct on the ground beef? Thanks in advance! I was wondering the same thing. What percent lean of ground beef is suggested? Thanks! The lean pct….80? 85? 90? Thanks ! AH ok! I always go for the leaner varieties on my meatloaf to cut down on grease. Oh my goodness!!! I don’t remember how I stumbled across this website yesterday but so far I’ve spent about 5 hours on her just browsing and reading!! Christy!!! Your website is incredible!!! I have loved reading the stories that go along with the recipes!!! And the videos?? Genius!! We love our meatloaf here but mine was always dry and tough! My family so graciously tried their best to reassure me that it was great, but I knew better!! But this recipe is amazing!! I was skeptical, I will admit, but it is outstanding!! It is very moist and tender!! I love the idea of the bread on the bottom!!! Love this place here…….got my sweet tea and am going to stay awhile!! Welcome to Southern Plate Amy!! I am so glad you stumbled in and I look forward to getting to know you. Make sure to sign up for my free newsletter to keep up with all the latest posts! Thank you for the warm welcome!!! I’m going to start cooking the low carb way fo my husband and me. I’m thinking of doing this without mentioning it to him. He is diabetic and likes to eat like he isn’t, so I’m going to give this a try. I love to cook and new recipes are up my alley. So glad I came across your Southern Plate! This is sooop good. Made it for supper and husband asked why I hadnt been using this recipe before. I meant sooooo good. Not soop good.